Government of the team, by the team, for the team—that’s the Agile Team Charter. At Boost we usually wrap up our Project Kick-off workshops by discussing how the team will work together and documenting this in the Team Charter. Beyond the discovery workshop, it’s also a very useful exercise for new teams or when new people join an existing team. As with all the best professions (doctors, lawyers, the mafia), the aim is to be self-regulating. You’re more likely to get a great team when the team itself sets the ground rules. It bonds the team and builds a shared understanding and commitment. Team Charters range from the lightweight to the kind of encyclopedic detail suggested by the Scrum Alliance. “I think there’s a good middle ground,” says Gavin. As a rule of thumb, if it’s too big to remember, it’s probably too big. communication tools (e.g. Slack for messaging, Zoom for video conferencing). roles and responsibilities (e.g. who to talk to if the Product Owner isn’t available). technology (decided elsewhere, though as a Rails shop this doesn’t vary much). Some Charters start as a list of rules presented to the team which Gavin advises against. 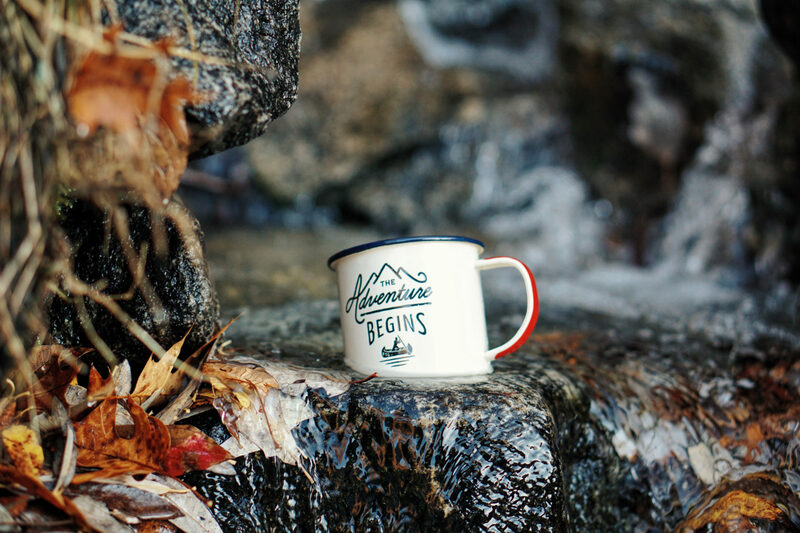 You don’t need the stakeholders who have been part of the rest of the Kick-off, just the team—including the Product Owner—and the facilitator. “Usually when you open a Team Charter meeting and you say, ‘OK, what’s our first point?’, it’s tumbleweeds,” says Gavin. How do we know if someone is open to being asked for help? What tells us that someone needs help? How do we want to deal with electronic devices in meetings? Capture each point, perhaps on a flipchart or whiteboard. Make sure each point clearly describes what was intended and is understood by everyone. When the points stop coming, review them all to make sure they’re relevant and there are no big gaps. At Boost we have both a physical and a digital copy, the paper version posted beside the project board and a photo or transcript in our wiki. The physical copy keeps the Charter in front of the team every day, while the digital copy is available for people working off-site and as a back-up. “If we just put it up electronically no one would probably ever look at it again,” says Gavin. 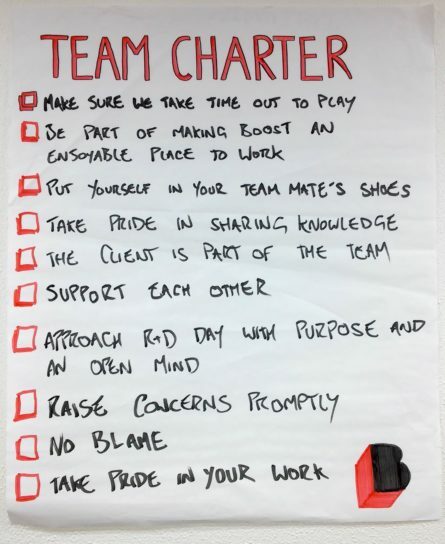 As well as a Team Charter for each project, at Boost we have an overall Team Charter covering how we work as a company. Just as the Team Charter is not laid down from on high, it’s also not carved in stone. “You want to maintain it, but not so frequently that people get sick of it,” says Gavin. A Retrospective can be a good chance to review the Charter and make sure it’s still fit for purpose. Gavin gives the example of a team that had decided they were not going to interrupt each other when they had their headphones on because that meant they were in the zone. “But then we found that people had headphones on all day long,” he says. If you do make changes, update both the paper and electronic versions. Sometimes Agile coaches notice the Charter isn’t being followed and remind the team that it’s there, and that it’s theirs.